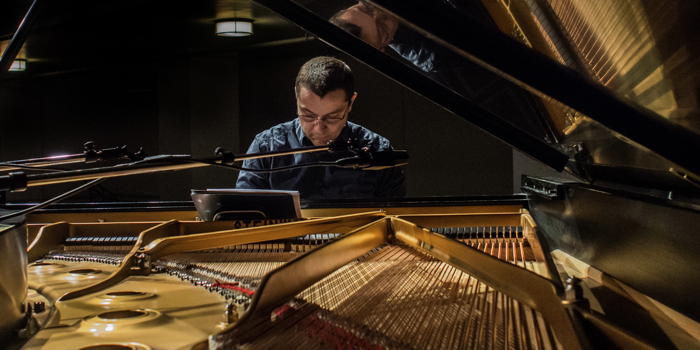 Pandelis Karayorgis (piano, composer) has performed internationally at festivals and clubs in Europe and the United States. Recordings appear on labels such as Leo Records, Hat Art, Cadence, Boxholder, Accurate, Leo Lab and HatOLOGY among others. He has led or co-led his own groups whose CD’s have often been voted into reviewers’ top-10 lists in magazines such as Coda, Cadence, Jazz Times and Jazziz. 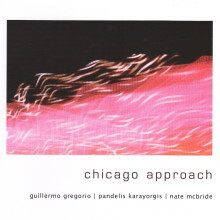 His main ongoing projects include the Pandelis Karayorgis Trio, featuring bassist Nate McBride and drummer Randy Peterson and the mi3, featuring McBride and drummer Curt Newton. He has also worked and recorded with Mat Maneri, Joe Maneri, Ken Vandermark, Tony Malaby, Michael Formanek, John Lockwood and many others.